New School urban policy professor Jeff Smith will read from his new book, Mr. Smith Goes to Prison: What My Year Behind Bars Taught Me About America's Prison Crisis. Following a brief reading from the book, author Touré will moderate a discussion about criminal justice reform with Professor Jeff Smith, Soffiyah Elijah (Executive Director of Correctional Association of New York), Dr. Carla Shedd (Columbia University sociologist), and Melissa Mark Viverito (New York City Council Speaker). This event is co-sponsored by the Milano School of International Affairs, Management and Urban Policy, the Center for New York City Affairs, and Humanities Action Lab. This event will also be livestreamed here! The fall from politico to prisoner isn't necessarily long, Smith—a former Missouri State Senator—learned, but the landing is a hard one. In 2009, Smith pleaded guilty to charges related to seemingly minor campaign malfeasance and earned himself a year and a day in Kentucky's FCI Manchester. Mr. Smith Goes to Prison is the story of his time in the big house—of the people he met there and the things he learned: how to escape the attentions of fellow prisoner Big C and his pals in the Aryan Brotherhood; what constitutes a prison car and who's allowed to ride in yours; how to bend and break the rules, whether you're a prisoner or correctional officer. And throughout his sentence, the young Senator tracked the greatest crime of all: the deliberate waste of untapped human potential. Smith saw the power of millions of inmates harnessed as a source of renewable energy for America's prison-industrial complex, a system that exploits racial tension and bias, building better criminals instead of better citizens. In Mr. Smith Goes to Prison, he traces the cracks in America's prison walls, exposing the shortcomings of a race-based cycle of poverty and crime that sets inmates up to fail. 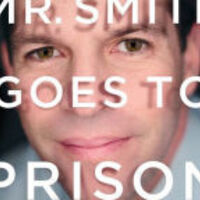 Now an urban policy professor, Smith’s blend of academic training, real-world political acumen, and insights from a sometimes harrowing year on the inside help him offer practical solutions to jailbreak the nation from the crushing grip of its own prisons, and to jumpstart the rehabilitation of the millions behind bars.